Back in September we optimistically volunteered to take part in the upcoming Smart ED public trial. Mercedes-Benz contacted us just before Christmas to confirm that we have passed through the first filter. 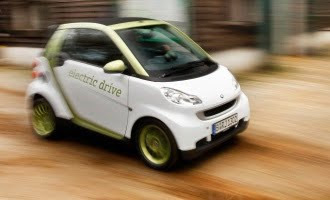 Next up are credit checks, and beyond those lie a visit from trial partner EDF Energy to see if our domestic wiring can take the strain of juicing up Smart’s diminutive electric runabout. We fully expect to clear these hurdles, but we are somewhat dismayed at the estimated costs. In September, the projected outlay was listed as “sub-£200 per month”. But now the latest trial prospectus reveals the need for much deeper pockets: one initial payment of £750, plus monthly payments of £250 for a minimum commitment of 12 months, plus insurance (group to be confirmed) and servicing. So the full cost will be the wrong side of £4,000 for a year of short-range, two-seat, electrically propelled travel. Roughly double the initial estimate, in other words. Still, as the company points out, there are “no depreciation concerns”. Helpful, that.